Sign up your student for a one-lesson-a-week writing class on the Internet which includes audio lectures. Preparing your teen for college level writing, Mrs. Gorby incorporates literature from a Christian perspective and grammar into the writing assignments. No special technology is needed. Only a computer, printer, modem, Adobe Reader, and the ability to play mp3 files are required. Process writing will be stressed; encompassing prewriting, drafting and editing of informative, persuasive, descriptive, narrative, analytical and expository compositions and research papers. Research skills will be emphasized so that the student will feel comfortable in locating and using reference materials, note taking, paraphrasing and in applying proper documentation (MLA Form). Strategies in answering essay questions from classic and Christian literature will be taught. Literature will be taught from a Biblical perspective, always pointing to truth. Lessons integrating grammar with writing will be included. On each essay students will be given positive and critical feedback by the instructor to encourage personal growth. Mrs. Rusty Gorby has a B.A. in both English and Physical Education. She has taught secondary English since 1989 public school, home school co-ops, and private schools in Texas and Virginia. 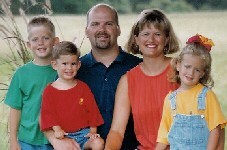 Mrs. Gorby is the mother of three children—Jake, Katie, and Justin, and the family resides in Texas.